Get inspired and share your outdoor paint projects at this year’s Outdoor Extravaganza! It’s the last week of this year’s Outdoor Extravaganza, PAINT PROJECTS! Finally, the weather cooperated this past week and I was able to put in some good hours outside. At the end of each Outdoor Extravaganza I can’t believe how much progress everyone has made! Sometimes all it takes is a little accountability to finally get projects crossed of the to-do list, wouldn’t you agree? Yesterday, I showed you what I did with the bench I salvaged from my parents’ farm. A little sandpaper and spray paint, and voila! I’m loving our new backyard container garden. Now that you’ve checked out my outdoor paint project, take a look at what my fellow hostesses have been up to. 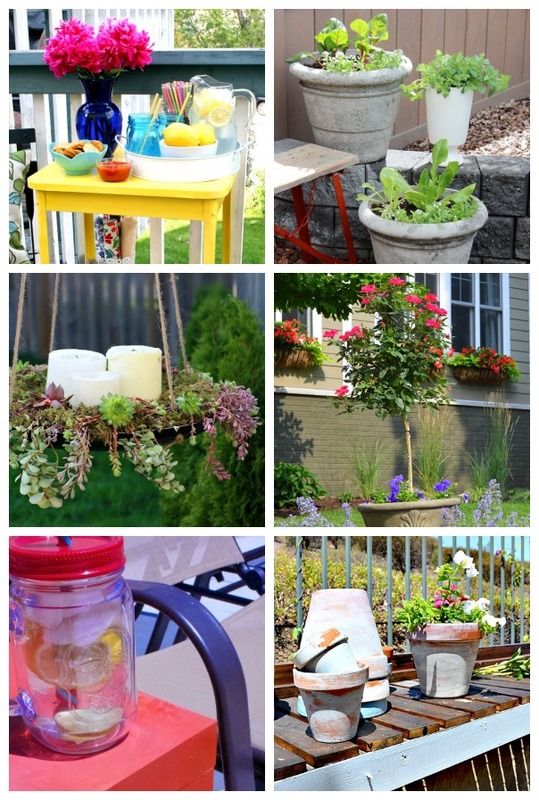 Link up your Outdoor Paint Projects – old and new. Your project(s) will show up on all 6 blogs! Please include a backlink to this post, and be sure to take a look around and show some blog love. No link parties or items for sale please! Once again, I’ll be sharing my top Outdoor Paint Project picks on Monday, so watch for yours! You can also check Facebook and the Outdoor Extravaganza board on Pinterest too! Thanks for being part of this year’s Outdoor Extravaganza! Mark your calendars for next May when we do it all over again! 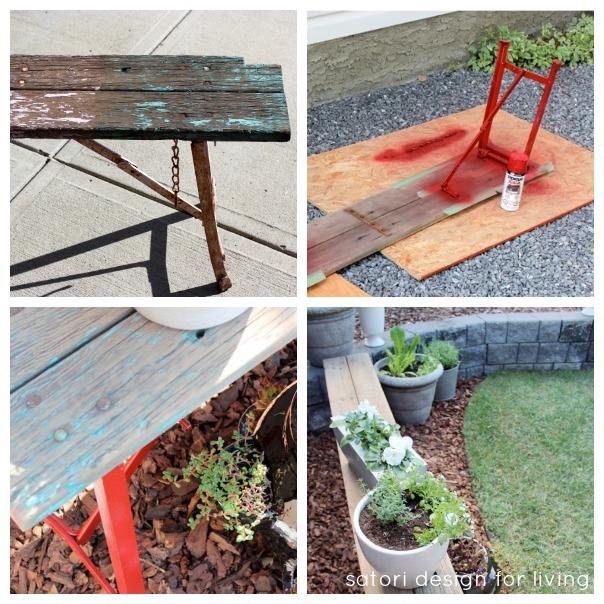 The weathered bench is the perfect compliment to your garden, and I love the POP of red! Thank you for co-hosting the party, Shauna! Thank you for this party too, yo many great ideas again, can`t wait to check them all out. Thanks for stopping by! Still love that shed makeover of yours from last year!